…great care has been exercised in securing correctly designed instruments that we can positively guarantee to give suitable service on all occasions. Eyepatch guy missed the opportunity to tell his story because he thought that the important part was conveying facts. What follow-the-frog guy did differently was sharing an insight by building a narrative. 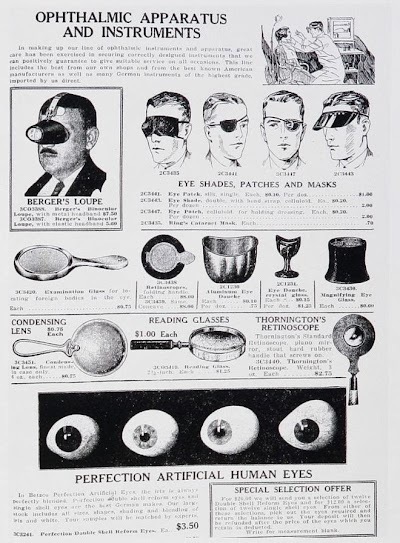 If the power of story had been used more effectively in the 40s we might all be wearing eyepatches today. Stories make it possible to communicate research findings in engaging and memorable ways (without losing any scientific rigor). Think of the last presentation you attended. If you only remember one thing, it’s probably a story. During graduate school we’re too busy coming up with conference abstracts, designing posters, writing articles, and giving oral presentations to realize that these are just different ways of doing the same thing: telling a story. So, how do we get better at it? You don’t need any special effects or supernatural talents to tell a great story. All you need to do is change your perception about why you give presentations, and commit to getting better at the skills of communication.